Lima, Peru, Feb 14, 2017 / 03:13 pm (CNA/EWTN News).- A two-part report made public on Tuesday detail sexual, physical and psychological abuses committed by members of the Sodalitium Christianae Vitae, both those who have left the community and those who remain in it. In addition to the movement’s founder, Luis Fernando Figari, four other Sodalits were reported to have sexually abused minors. The report named the other offenders, none of whom are still part of the community. Seven of the Sodalits “who were identified as having physically or psychologically abused” another member or a person in formation are still in the community and performing external ministry. They have had administrative actions taken against them and are receiving training. The report did not give their names. The first report released Tuesday detailed the acts of sexual, physical, and psychological abuse reported to have been committed by Figari, as well as reported sexual abuse by four former Sodalits. No current members of the Sodalitium except for Figari, who has been barred from community life and contact with other members, have been reported to have committed sexual abuse of minors. The second report discussed other kinds of abuse perpetrated by Sodalits, the harm done, the community's responses to the allegations, accountability measures and its ongoing work to prevent future abuse. It also described some of the causes of the abuse, the difficulties in reporting it, and the past and present culture of the Sodalitium. The reports were authored by Kathleen McChesney of Kinsale Management Consulting; Monica Applewhite of Confianza, LLC; and Ian Elliott of Ian Elliott Safeguarding. “It is clear that Figari sexually abused at least one minor male, sexually abused or sexually manipulated several other young men, and physically or psychologically abused dozens of others, including those he sexually abused,” the report stated, adding that he knew of three other Sodalits who sexually abused minors. In addition to sexual abuse, Figari sexually manipulated several young men – he used his authority to cause the victims to act in a sexual manner, but in a way that did not rise to the level of sexual abuse. Figari also committed physical abuse; he has been widely described as “appearing to enjoy observing the younger aspirants and brothers experience pain, discomfort and fear.” He reportedly burned an individual with a candle, and menaced members with his dog, allowing it to bite them at times. As superior general until 2010, Figari was also responsible for the formation of Sodalits, which was extremely physically demanding. “Numerous witnesses described the formation program that Figari developed as being modeled after military training techniques depicted in movies that he regularly watched,” read the report. Formatees were thus “subjected to continuous, strenuous, unnecessary and, often, unrealistic physical requirements,” such as swimming in cold ocean waters for several hours at a time, running long distances in inclement weather, and performing difficult exercises for extended periods of time. Physical abuse was also used as a disciplinary measure: those in formation were made to sleep on stairways for many nights at a time, to stay awake all night in chapel, or were denied food or water. Furthermore, Figari committed psychological abuse, the report said – while some Sodalits regarded him as kind and paternal, he was also “frequently described by both former and current Sodalits as narcissistic, paranoid, demeaning, vulgar, vindictive, manipulative, racist, sexist, elitist, and obsessed with sexual issues” and sexual orientation. In addition to Figari, four other (now former) Sodalits committed reported sexual abuse of minors: Germán Doig Klinge, Virgilio Levaggi Vega, Jeffrey Daniels Valderrama, and Daniel Murguía Ward. This occurred between 1975 and 2007. Three of these offenders, including Figari, also sexually abused adults. No conspiracy among the alleged abusers was found. The second report discussed abuse by Sodalits which was not sexual abuse of minors, but which victimized Sodalits, members of the Sodalitium family, and young people who participated in youth groups associated with the community. “Physical and psychological abuse of aspirants and Sodalits was more prevalent than sexual abuse,” the report noted, and it occurred most often during “aspirance” or formation. One testimony included in the report described an older Sodalit holding a small knife to a younger member’s throat, and forcing him to eat bowls of salt and ketchup until he became physically ill. Several others recalled members being instructed to hit one another. Not every member experienced abuse, but many of those who did have suffered continuing psychological and spiritual harm, and some have suffered financially after leaving the community, failing to find steady employment because “their superiors prevented them from receiving a professional education.” Some even lost their belief in God. The majority of Sodalits “were, and are, pious and of good, moral character, and attracted by the Gospel and the positive aspects of the SCV’s culture,” the report said, and “it was not the SCV’s culture that caused the offenders to commit acts of abuse,” although some authorities in the organization permitted or encouraged these abuses. In 1998, Figari demanded that formation become more rigorous, and a new superior installed at this time is the subject of most reports of severe physical and psychological abuse. Formators continued to make “unnecessary physical demands and put psychological pressures on the students” until 2010, according to the report. “Until such a process is in place, personnel management problems are likely to disrupt some of the work of the SCV,” the report said. In total, sexual abuse or manipulation against adults was committed by seven Sodalits, the report said: 14 men and three women were sexually abused, and 14 men were sexually manipulated. These acts occurred between 1975 and 2009. Only two remain in community life: one has been removed from all external ministry, and one performs restricted ministry. Another Sodalit who has demonstrated inappropriate behavior with adults and minors is not allowed to have external ministry, is prohibited from being alone or working with minors, and is being monitored by persons of authority. Two of those who committed physical or psychological abuse have left the Sodalitium. Of the nine who remain in the community, four were superiors or formators but have been removed from those position; two of the nine do not currently perform external ministry. While this abuse largely occurred in the 1980s and '90s, “there are a few current members who feel that some senior Sodalits still do not treat them with respect or have anger management problems,” the report said. The community’s superiors are addressing these matters. Figari's sexual abuse was first reported to another Sodalit authority in 2002, and other victims first submitted formal complaints to ecclesial or civil authorities in 2011. The victim who reported his abuse in 2002 did not want to provide a written testimony or begin a formal canonical process against Figari, according to the report. The allegation made in May 2011 was made to Lima's interdiocesan tribunal, which forwarded it to the Congregation for Institutes of Consecrated Life and Societies of Apostolic Life. Two other allegations were forwarded to the congregation by September 2011. Regal visited Rome to meet with the Congregation for Institutes of Consecrated Life in November 2011 and October 2012 to discuss the canonical case against Figari, and also pursued the issue with the archdiocese and tribunal of Lima. Much of the Sodalits' handling of the allegations of Figari's sexual abuse has occurred under the leadership of Moroni, who was elected superior general in December 2012. In 2015, an apostolic visitor was appointed to the community, and an ethics commission was created to investigate and offer proposals surrounding the accusations of abuse against Figari. The following year, Cardinal Joseph Tobin of Newark was appointed the Vatican's delegate to oversee ongoing reform of the Sodalits. Tobin had been secretary of the Congregation for Institutes of Consecrated Life from August 2010 until Oct 2012. In January the Sodalitium Christianae Vitae announced that 66 persons can be considered victims of abuse of mistreatment by members of the community, and that it has set aside more than $2.8 million in reparations and assistance for victims. Figari was also barred from contacting members of the community. The report found that the Sodalitium had sometimes offered an “ineffective or non-existent response” to allegations, which allowed abuses to continue. The community lacked procedures for responding to allegations until 2016. Some Sodalits “would try to convince the victims that what they had experienced was not abuse, or they would accuse the victims of lying,” the report said, noting that some members believed the community’s response to be driven by a desire to protect its own reputation. In 2016, a review team made 35 recommendations to promote a safer environment in the Sodalitium, all of which have been accepted by the community. Several have already been completed. Ongoing recommendations including providing Sodalit authorities with training to respond to abuse allegations; better records and reports; screening of new members; reviewing the formation process; offering abuse awareness and prevention training; determining the role that leaders who failed to respond to reports of abuse have in the future of the congregation; enhancing communication and transparency; and allowing external reviews. Recommendations whose implementation are pending are the establishment of a review board to evaluate abuse allegations; establishing a policy regarding social media, texting, and other communications with minors, aspirants, and formatees; establishing and publishing a code of conduct for members and consequences for misconduct; developing guidelines for suitability for ministry; designating an ombudsman to assist members in dealing with grievances; establishing a policy to communicate with various audiences regarding abuse reporting. The Sodalits’ Superior Council has also accepted the review team’s 14 recommendations for current members who have harmed others in the past. Consistent with best practices and canonical guidelines, recommendations regarding specific individuals are confidential, the report said. 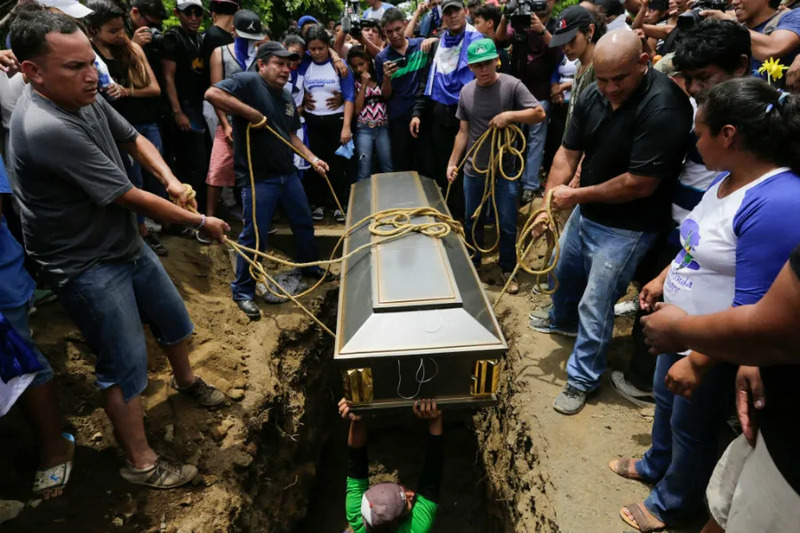 Managua, Nicaragua, Jul 16, 2018 / 03:19 pm (CNA/EWTN News).- This weekend, paramilitaries in Nicaragua attacked a car carrying the Bishop of Esteli, and in a separate incident pro-government forces besieged students in a parish church, killing two. Protests against president Daniel Ortega which began April 18 have resulted in more than 300 deaths, according to local human rights groups. The country’s bishops have mediated on-again, off-again peace talks between the government and opposition groups. Bishop Juan Abelardo Mata Guevara of Esteli was attacked in his car at a police checkpoint in Nindiri, about 15 miles southeast of Managua, July 15. He was returning from saying Mass. The paramilitaries damaged the car’s tires and windows, and fired on the vehicle. 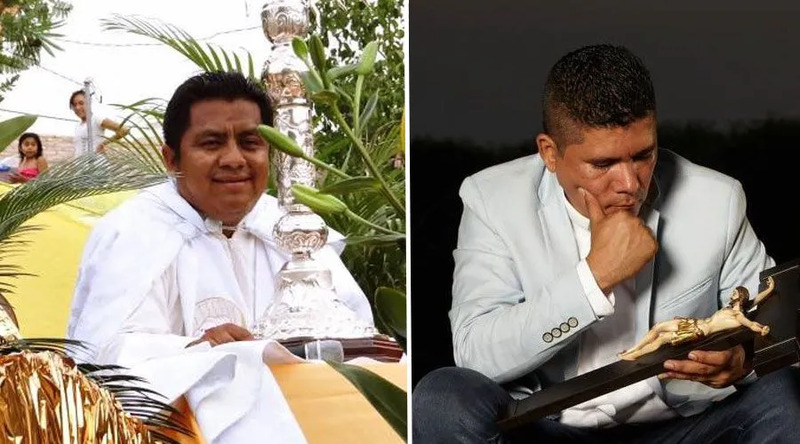 Together with his driver, Bishop Mata took shelter in a house which was surrounded by Ortega’s supporters, who verbally harassed him for 90 minutes. He was able to leave the house through the intervention of the Archdiocese of Managua, which intervened with the government to send general commissioner Ramon Avellan to guarantee the bishop’s physical safety. Bishop Mata returned to Esteli by cover of dark. Bishop Mata is among the mediators and witnesses in the national dialogue between the government and the opposition. In Managua, around 150 student protesters who took refuge in Divine Mercy parish July 13 were able to leave the following day, after an intervention by the country’s bishops. The parish is near the National Autonomous University of Nicaragua, where the students had been protesting during a national strike. They were attacked by the paramilitaries, and sought shelter in the church building, where they were besieged. Two student protesters died in the church from fire by the paramilitaries. The students were transferred July 14 to Managua’s Immaculate Conception Cathedral, where they received medical care. Fr. Raul Zamora, pastor of Divine Mercy parish, and his vicar, Fr. Erick Alvarado, announced July 16 their appreciation for those who have helped to clean up the church, and said that the church will be closed through July 19. On July 20, a penitential Mass will be said “where we will implore the Mercy of God and the gift of conversion for our Nicaragua.” Normal Mass times and perpetual adoration will resume July 21. The Nicaraguan bishops have announced a day of prayer and fasting July 20 in reparation for desecrations carried out in recent months. They said Ortega’s government has refused “to address the central themes of the agenda of democratization” and to dismantle the paramilitaries.